Albany is deceptively simple. It’s quiet and family-oriented, but also a great place to play and shop away from the student throngs in Berkeley and the crazy big crowds in Oakland. 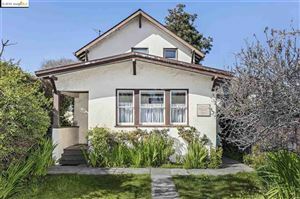 Driving around the flat grid of sunny residential streets, you see many two- or three-bedroom single-family homes in a wide range of styles, from charming Craftsman bungalows to Mediterranean styles. But get out into the main thoroughfares and you’ll find fun, fine food, natural beauty, and much more. For a cozy outdoor getaway, you’ve got Albany Hill Park — that’s the round wooded hillside that pops up with those huge condo complexes you pass on the freeway. And Albany is home to the shoreline parks that stretch along the water’s edge. The Golden Gate Fields horse racing arena is part of that. For nightlife, Albany offers more than you’d think. Near the corner of Solano and San Pablo, for starters, the Albany Twin movie theater offers a full bill of foreign and independent films. The Hotsy Totsy Club on San Pablo Avenue is a popular place to go on the weekend. It’s your basic neighborhood bar, but with well-respected craft cocktails and an eclectic clientele ranging from hipsters to the local barflies. And we’d be remiss not to mention the Albany Bowl, one of the few old-style bowling alleys still standing. Besides lanes and bowling balls, it’s got arcade games for the kids, a bar for the adults, and a pizza bistro for the whole family so you can enjoy a slice to take your mind off that last frame you threw. San Pablo and Solano Avenues are the main shopping streets, but you’re not far from the big box retail and other chain stores of University Village, just a little way down San Pablo. One of the local highlights is Mary & Joe’s Sporting Goods, also on San Pablo near Solano, which specializes in sports gear for kids playing on school teams. It also has one of the best local selections of sports team caps, and not just for Bay Area teams. Albany is centrally tucked in between Berkeley, Kensington, El Cerrito, and Richmond, making it a crossroads for major freeways as well as BART, buses, and other forms of transportation. It’s criss-crossed by the main thoroughfares of Solano and San Pablo Avenues, the main commercial arteries with just about any product or service you might need. Albany is a small place but its fine K-12 schools, with some of the best achievement rankings in the state, are one of the reasons that homes keep their value and desirability. See all Real estate in the city of Albany.